Shirley was mainly concerned about her neck banding. 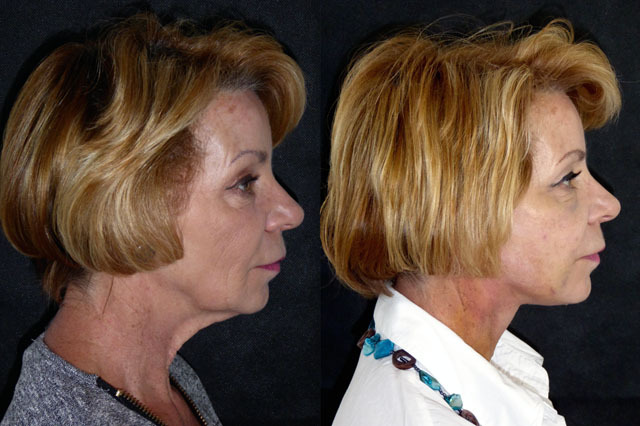 These were a secondary effect of facial soft tissue descent so addressing the whole face and neck segment was the best way of getting the right result. 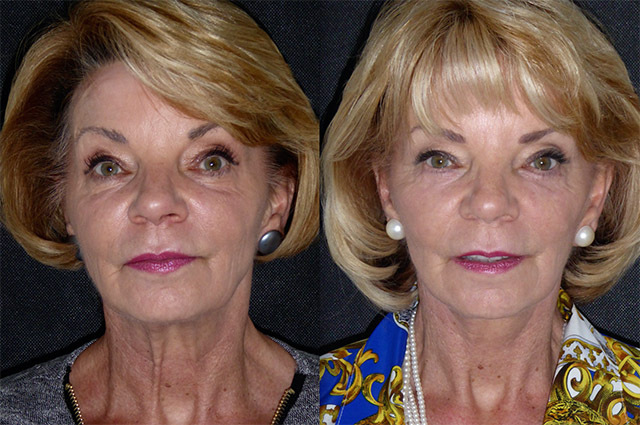 Shirley has an immaculate upper facial third and asked for my help in balancing her facial features. 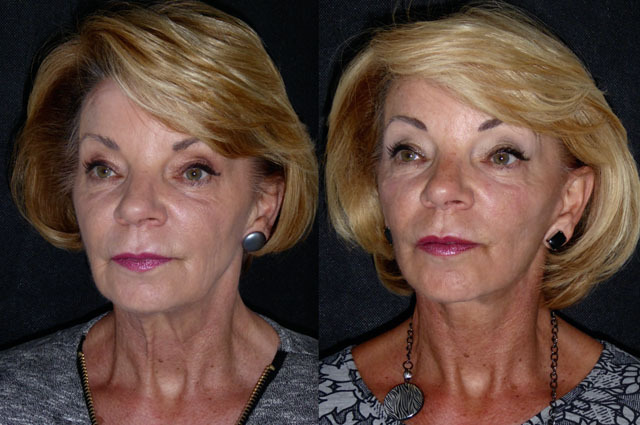 She underwent face and neck lift and platysmaplasty under local anaesthetic. Shirley the morning after surgery looks great. Normal postoperative swelling makes her face a little pulled but this will settle over the next few days. 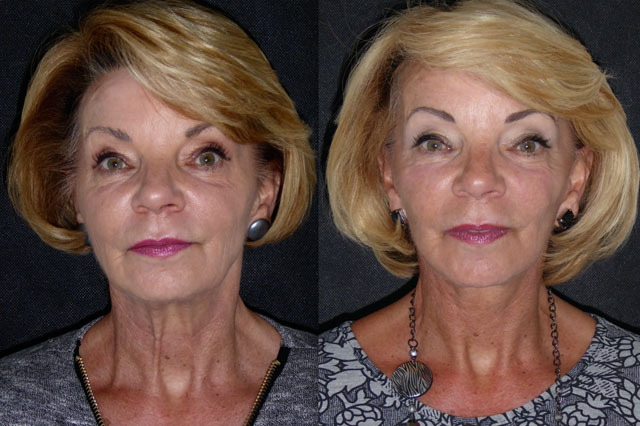 Her lower facial third is now heart shaped not square and her neck bands have gone. She should have a really nice result. 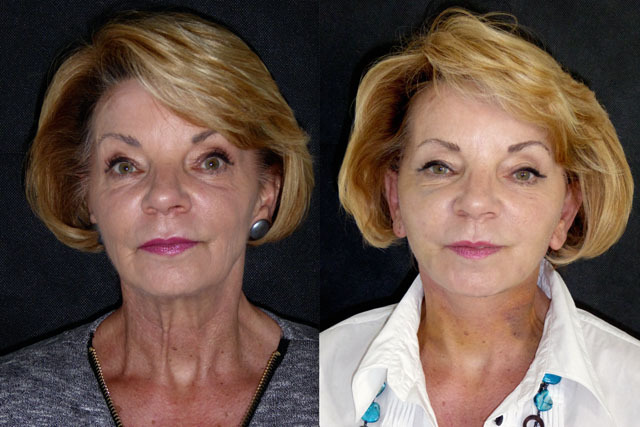 7 days after face neck and platysmaplasty, we can see the definition in Shirley’s jaw and necklines and her facial proportions are more refined. She is progressing really well with no issues. 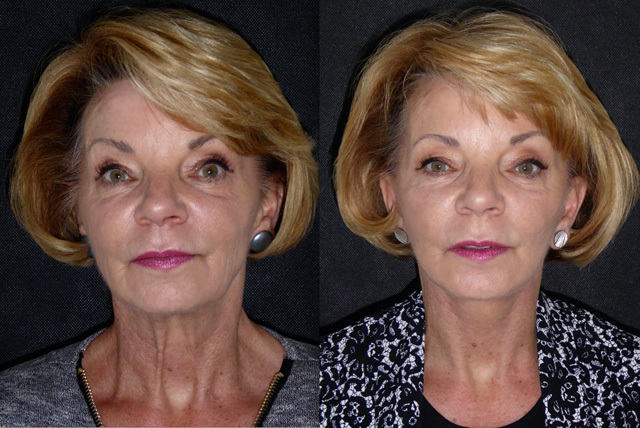 I tell all my patients that a facelift is a journey. 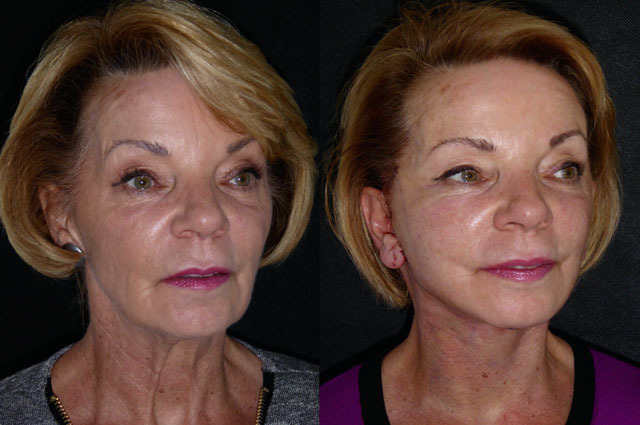 The face will be hard some days and sore others, lumps may come and go, each day is different and just when one part of the recovery process is settling another thing crops up. This is normal and part of the journey. 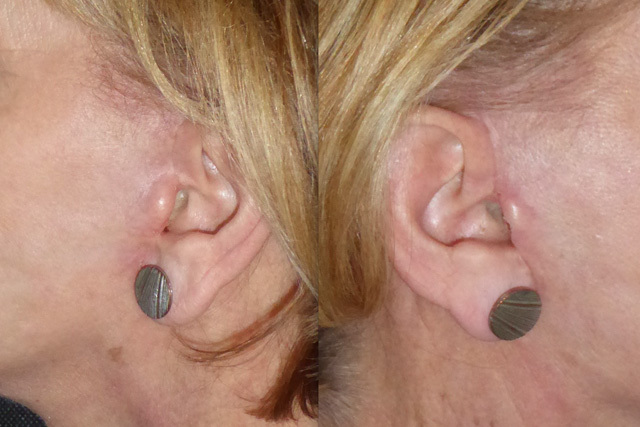 Usually by around four to six weeks the initial healing phase is complete. A week to 10 days after surgery it is easy to conceal the fact that work has been done from friends and colleagues. At 4 weeks Shirley is looking great. Her scars have healed really quickly and her neck bands are gone. 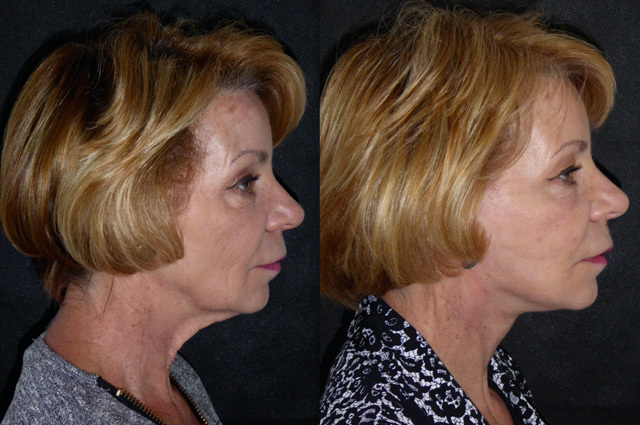 Lovely proportions and a gentle sweeping jaw and neck line. 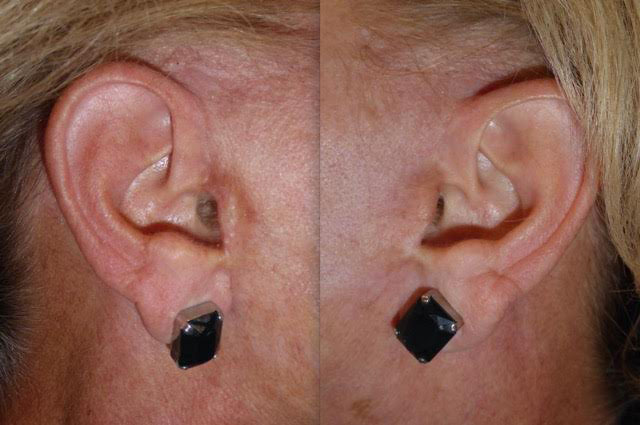 which shows how a meandering incision meticulously placed around the ears and behind the ear cartilage becomes inconspicuous really very quickly. 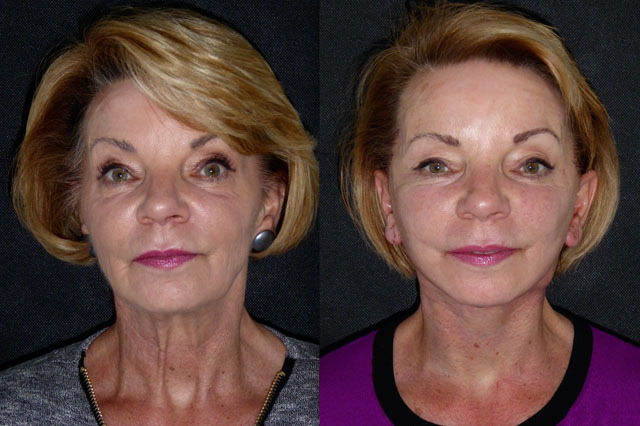 Shirley at 4 months after face and neck lift and platysmaplasty is back for review. 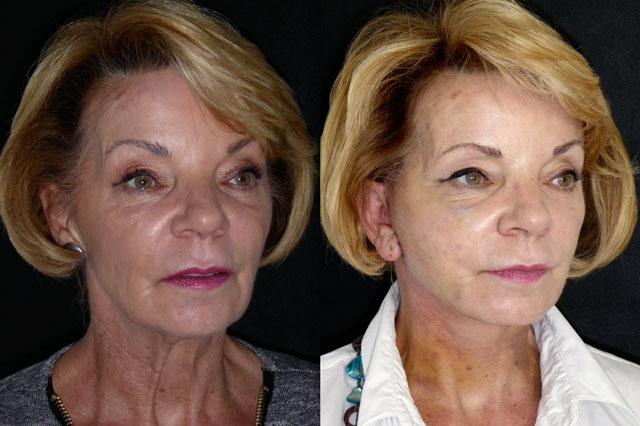 This appointment is purely to check natural relaxation of the surgery and the result at this stage is what most patients can reasonably expect as their long term result. 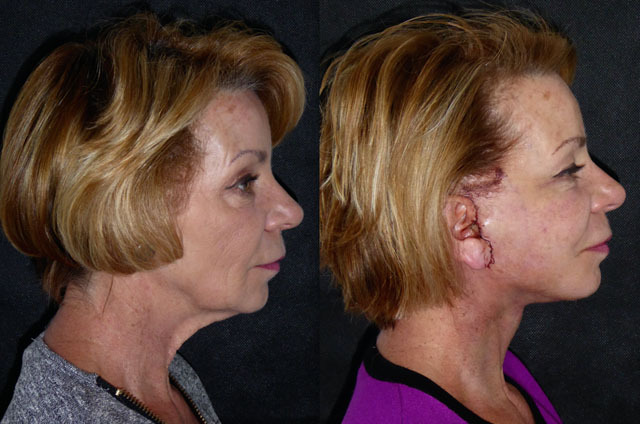 Shirley’s has healed perfectly. 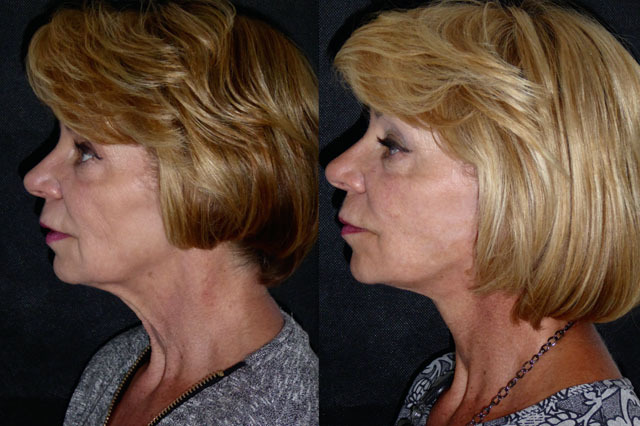 Her scars are remain invisible (see close up below) and her jaw and neck lines refined. 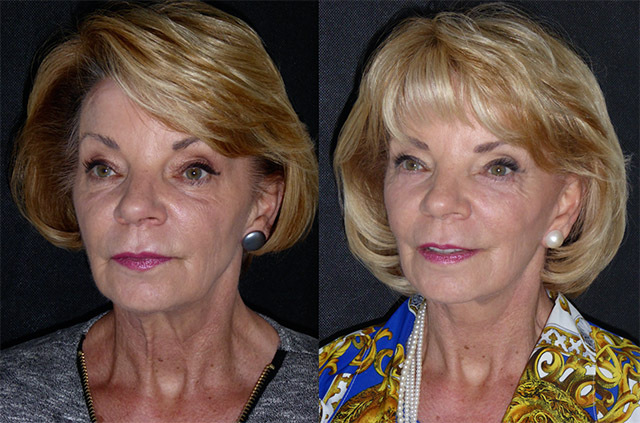 A little filler in her lower eyelid cheek junction should complete her rejuvenation. 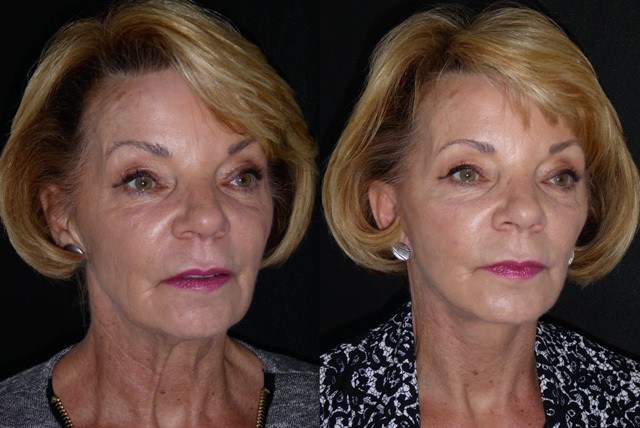 It was so lovely to see Shirley again today a year after her initial surgery and a few months after removing a little lower eyelid skin to finish her rejuvenation. She continues to look just fantastic. 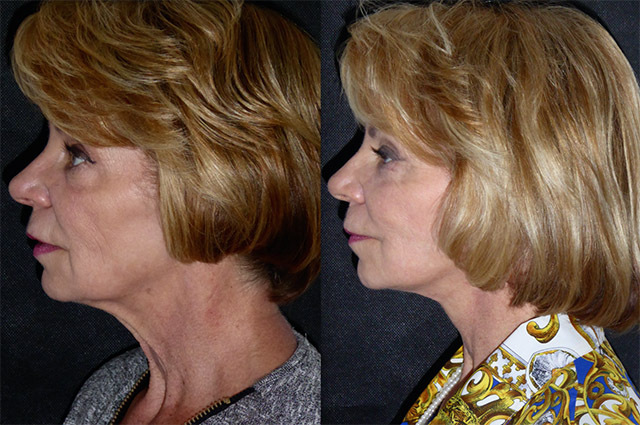 Whilst her jaw and necklines continue to look so much better, Shirley’s platysma repair just under the chin has reseparated so I will repair this again for her in a few weeks in a quick local anaesthetic procedure. The silver lining is that I don’t have to discharge her just yet!